One of the incredible things about the hydrologic (water) cycle on our great planet is how connected these cycles are and how a single drop of water may continually travel the globe over a period of time. The waters that rain down upon me here in Western PA likely came after being evaporated from the Pacific Ocean and making their way in gas form across the North American continent. From the clouds, they solidfy and rain down, slowly moving down our mountain property to the stream that sits at the bottom of our property: Penn Run. Penn Run leads into Two Lick Creek, which runs into Blacklick creek, which runs into the Conemaugh River. The Conemaugh becomes the Kiskiminetas, which runs into the Allegheny, which meets the Monongahela in Pittsburgh and becomes the Ohio. After passing cities such as Cincinnati and Louisville, it merges with the Mississippi on the border of Kentucky and Missouri. From there, the Mississippi makes its way south to New Orleans and into the Gulf of Mexico. There, the water joins the Atlantic, likely evaporating again and raining somewhere on Europe or Asia and eventually making its way back to the Pacific Ocean. And thus, the cycle continues–from the single drop of rain that lands on my land here, the waters of the world are endlessly such cycled. Thus, any water you interact with has no specific “home” but rather, continues to travel the globe, maybe being locked up in ice for a few millenia or being in an aquifer for a while, but eventually beginning the travels once more. It’s a useful exercise to map out what I just did above, so that you understand where water that you interact with locally is part of this great cycle. The rivers are like veins, the earth the body, and these veins provide life to our great earth mother, literally, bringing her life. aters throughout the world are challenged: pollution, plastics and microplastics, draining of aquifers, damming of rivers, and other major issues can be found thrhought the world: rather than being pure and offering life, sometimes our waters are so sick and damaged that marine life cannot live in our waterways and it is unhealthful to those who live near them. 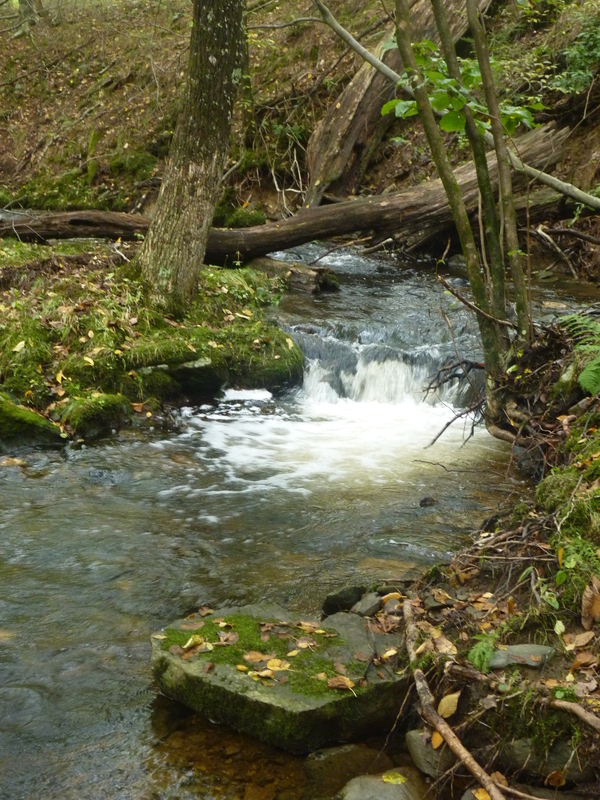 Where I live here in Western PA, a local legacy of mining has made many waters very polluted through Acid Mine Drainage and other historical problems (tanning, logging) and current agricultural runoff. 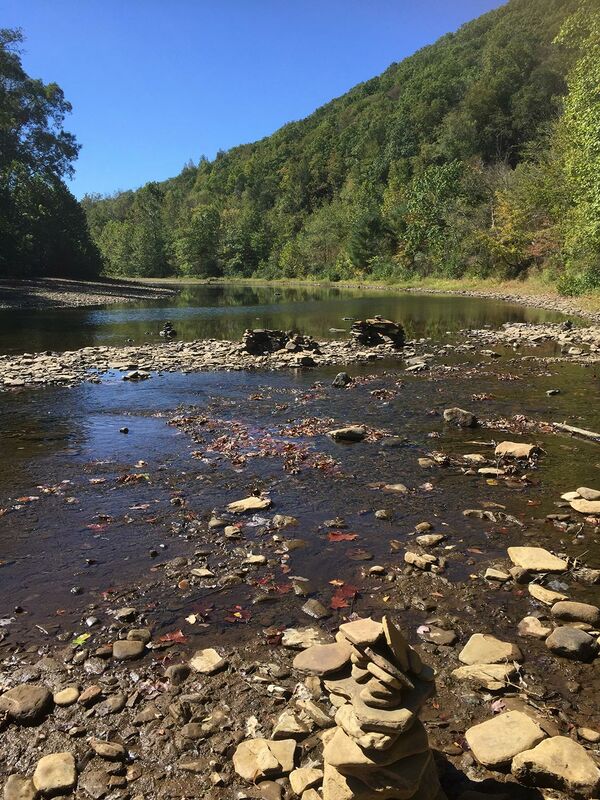 While some rivers, like the Clarion River, have been radically brought back to health thanks to local conservation efforts so many of our small streams and rivers are still very polluted. Given the status of the waters worldwide, I found it important to do rituals and healing water work to let these rivers know that I stood in witness and honor them. This is good work that any druid or nature-based spiritual practitoner can do. Regular water work in this way can help us “give back” to this incredible, magical cycle of water that sustains us and offers us life. In last week’s post, I offered suggestions for how to work deeply with water, to with and build a water shrine full of sacred waters and water gathering experiences. This post offers the perspective of “giving back” and doing deep water healing work. For these experiences, you can use the “coming together” waters as I described last week, or, if you prefer, you can use any water you feel is sacred (rainwater, water from a special sacred spring, and so on). 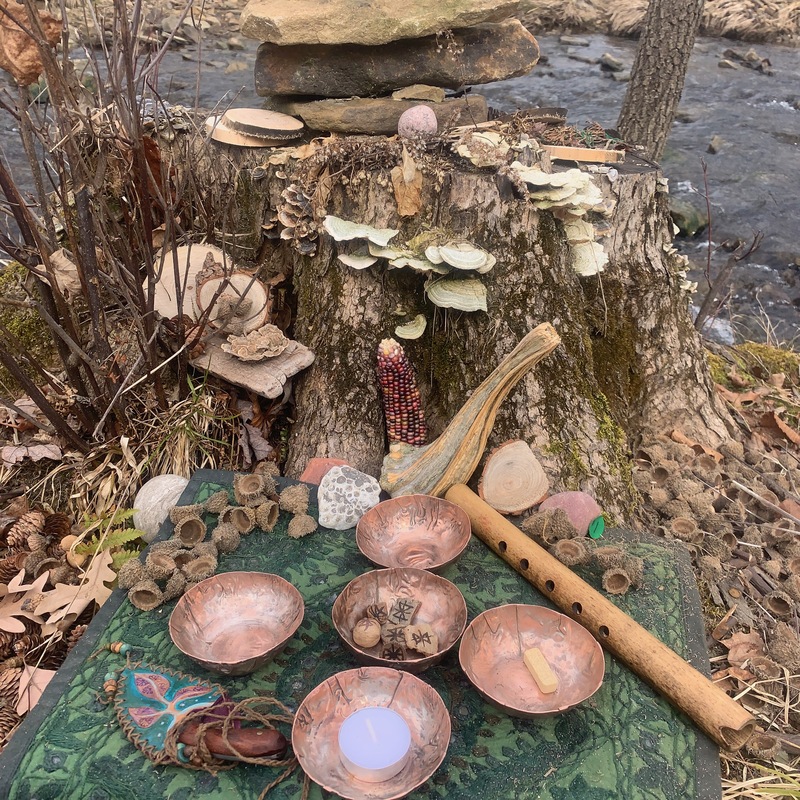 While you can do this ritual at any time of the year, I find that Spring, when the waters are flowing, is a particularly good time to bring this kind of healing energy back to the land. This ritual can be done with any water source and is designed to provide energetic healing for the waters. This ritual draws upon two concepts: the first is that the rivers and bodies of water are just like the blood that flows in our bodies, and hence, it uses a heartbeat metaphor to connect with that life power. Second, it uses the energetic principle of homeoapthy, the idea that a tiny amount of a healing agent can bring life and vitality to a whole body (in this case, a whole body of water). This ritual plants the “seed” of that healing through sacred waters. Materials: Sacred Water. This ritual uses a specially prepared “sacred water” blend; you have two options for this. Regardless of what water you use, make sure you boil your water prior to use (you are introducing this sacred water into a new environment, and you don’t want to introduce any pathogens, etc). Option 1: This ritual can use the “coming together waters” from my last post. Otherwise, you will want to get any clean, pure and natural source of water (a local spring, rainwater or snowmelt, etc). Usually, what I will do is get a bowl of rainwater, add three drops of my “coming together” waters and then boil the whole thing. Then when it cools, I can add this to a vial and to my crane bag for travel to the location. Option 2: Again, take a fresh water source, boil it, and add in healing and blessing herbs. Any medicinal herbs that fit your purpose can work here, but I especially like home-grown herbs like mint, oregano, thyme, monarda–things that help fight human illness, and thus, metaphorically, offer healing. A small amount of this is all you need, again, I add this to a vial and to my crane bag. You can also combine both approaches, or use another of your choosing. Regardless, you should have this water prepared prior to your ceremony. Other supplies: A drum or shaker is very useful , but if you don’t have one, you can simply use your hands or rocks. You can choose to setup an altar for this ritual on the side of the body of water; if so, you will want representations of the elements and anything else you deem approrpiate. Research: If necessary, write down the flow of the water that you are healing (similar to what I did in the opening of this blog post). You will be speaking these words as you do your ritual (and if you are blessing the ocean, you might choose to instead explore the currents of the ocean and the places that the water may visit). Choosing Your Location: If you are working with a body of water that flows, I suggest physically journeying to the headwaters of that water source as much as you can. Rivers flow, and the closer to the source of the river you go, the more of the waterway you can affect. I also realize that in many cases this is not possible. If you are going to a source that doesn’t flow (like the ocean) then any sacred spot is appropriate. Setup. Find a quiet spot along the body of water where you will do your ritual. Setup an atlar from things you brought as well as from things you find; I like to leave a small stone cairn there after the ritual, so I will usually setup an altar in a way where most of it can be left after the ritual concludes. Place your vial of healing water on the altar. Open a Sacred Space: Open up a sacred space in any manner that you use (I use OBOD or AODA’s grove opening, for example, but you can use anything else. A typical opening calls in the quarters, declares peace in the quarters, and casts some kind of protective sphere or circle around you for the purpose of the ritual). The Heartbeat. Begin by doing drumming, using a shaker, or, if you don’t have these materials, using two rocks and knocking one against the other. The idea here is that you want to create a heartbeat. This is the heartbeat that beats within you, and the one that beats metaphorically within the land itself. Spend some time connecting with this heartbeat. It is helping to attune you, as a healing agent, to the water. Adding Healing Waters: Now, take your vial and pour the vial into the waterway. As you pour, speak words of healing if you feel so led. Speak also of the journey that this water will take, and all of the different bodes of water that it will reach. Connecting with the Waters: Place your hand in the water after you are done pouring and simply feel the water flowing away from you. In your mind’s eye, follow that water as it begins healing and bringing vitality into each waterway. Imagine the journey your waters will take and as they reach each new water source, imagine the healing energy infusing in each waterway and the vitality that coems with healing. Imagine healthy ecosystems, fish, plant life, insect life, and all the things that healthy waterways bring. Take all the time you need to do this. The Heartbeat. Again, return to your drum or stones and once again, connect with the heartbeat of the land. Note any changes you feel in the heartbeat of the land and the waters that connect it. Close your space. Close out your sacred space and thank the spirits for their blessings. This ritual can be done in two parts, perhaps at two different grove events, or at a weekend ceremony. First, ask everyone to bring water from a sacred place to the ceremony. Do a “combining waters” ceremony with the group, similar to what I described in my last post. 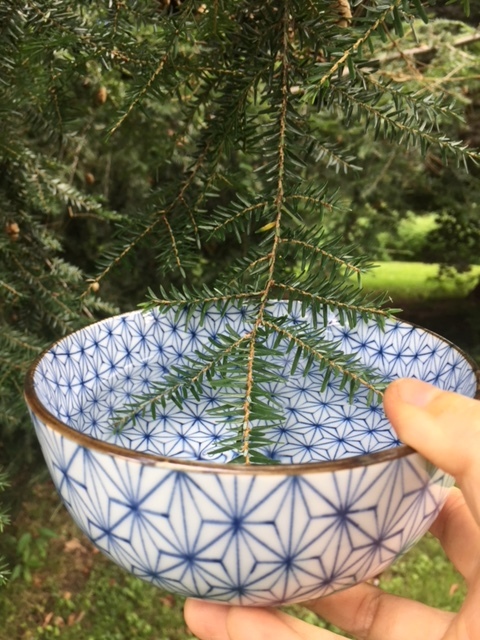 For this ceremony, setup a central bowl. Each participant in the group will step forward and speak the name of their sacred water, and offer their sacred water to the bowl. They can share anything they like about that water. Once all of the waters have been added, the group can place their hands over the water and bless it, chanting “Awens”, drumming, or doing any kind of energizing blessing. After the ceremony, the waters can then be put in small glass vials and each participant can take their own “coming together” vial. One of these vials can be saved for water healing work. See Variant 2 for instructions about how to do this ritual with a group. In this variant, one person prepares the sacred waters, but the group does the blessing. You can have multiple people doing the “heartbeat” and keep that heartbeat going throughout the ceremony, while others add the water and speak the journey that the waters will take. You can also add a water blessing for each person who is part of the ritual as a final step. I hope that these rituals will serve you well in your water healing/land healing needs. I’ve been doing some form of this ritual for many years, and while I can’t stop all of the Acid Mine Drainage (although I certainly lend my efforts and funds in that regard), I do feel that this is something I can do, and the spirits of the waters certainly appriciate it.